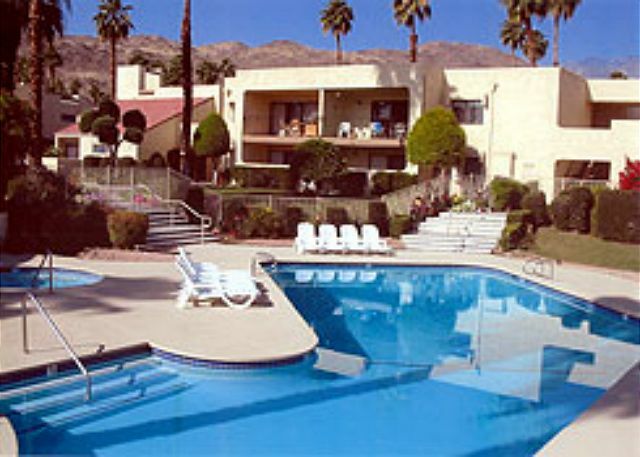 This condo is just steps from one of the community's pools and spas. 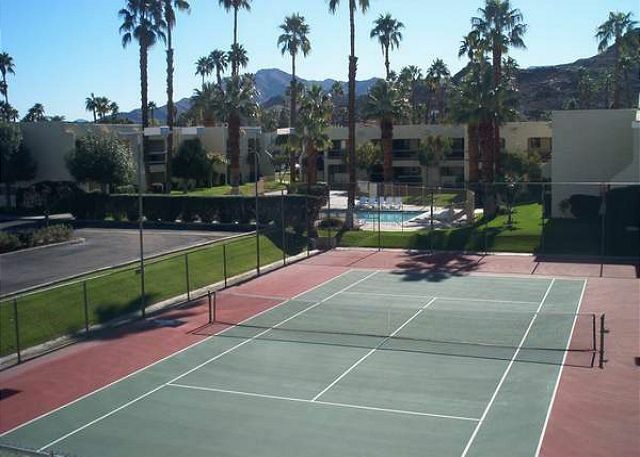 You will enjoy this nicely decorated 1 bedroom 2 bathroom condo with its tile throughout, flat screen TV, Wifi, cable, local phone service, washer & dryer. The kitchen is equipped with the cookware you will need to prepare meals or cookout on the gas BBQ. Dine alfresco at your bistro table for 2 on the private patio or at the dining table with seating for 4 in the dining room. Watch TV or a DVD in the evenings in the living room on the Flat Screen wall-mounted TV with DVD player and cable. Sleep peacefully in the open airy master bedroom that has a king bed, nightstands with reading lamps, dresser, wall-mount TV and big closet. 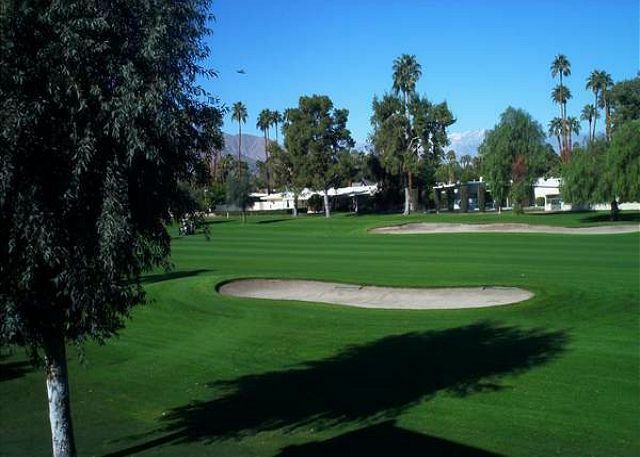 This is a beautiful smaller quiet community located directly across the street from the famed Tahquitz Creek Golf Course! After a fun filled day of challenging golf or tennis you can rest while enjoying the tranquility of stunning majestic mountain views. 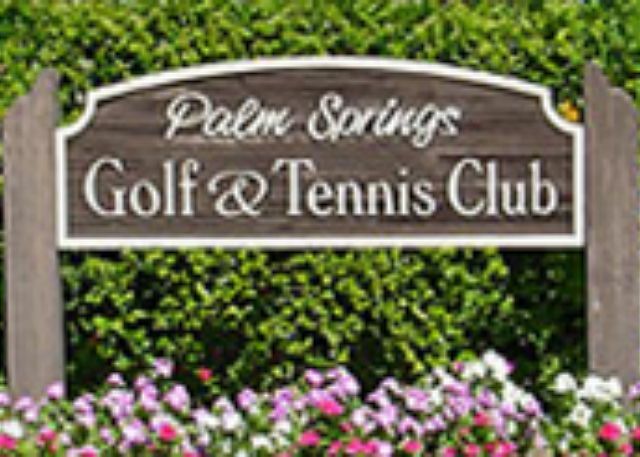 Palm Springs Golf and Tennis Club also offers refreshing pools, spas and tennis facilities. 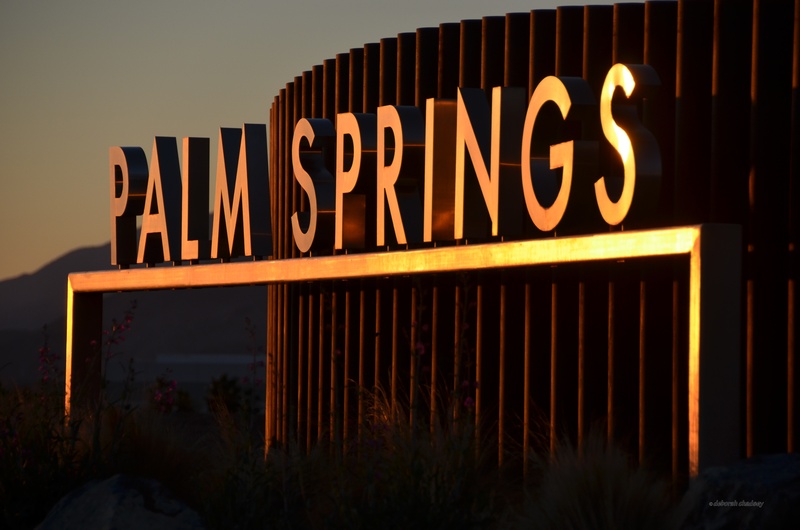 Shopping and restaurants are close by for your convenience.